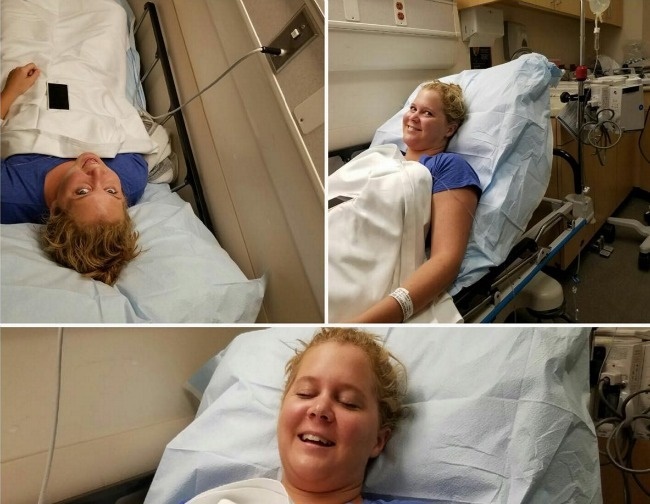 Amy Schumer was recently hospitalized after contracting food poisoning while vacationing in Paris with her boyfriend, Ben Hanisch. While they both fell ill, the bad meal managed to hit Schumer a bit worse. Thankfully the comedienne has recovered and appears to be in high spirits as she posted various images on Instagram. This followed with a video she shot from bed explaining her love for music and food, and that she was merely taking a chance. The two have been dating since January 2015. Prior to the food poisoning, they had been celebrating in Paris without incident and enjoying everything in sight. The star had even expressed that her connection with her beau is unlike any other she’s ever experienced.